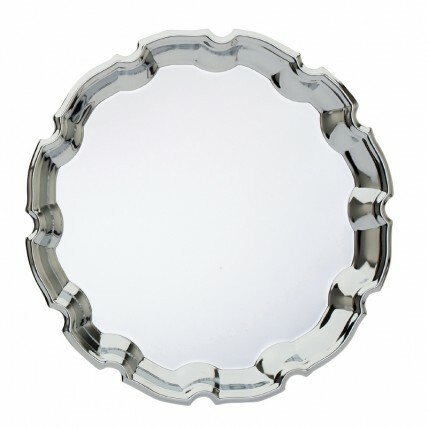 The scalloped tray is an exquisite corporate gift ideal for all events. The Scalloped Chrome Plated Tray features a striking scalloped detail on the rim of the tray and beautiful chrome plated finish. It is available in two sizes and offers a large engraving area for your logo and custom message.